Note : For 8 to 14 years old. 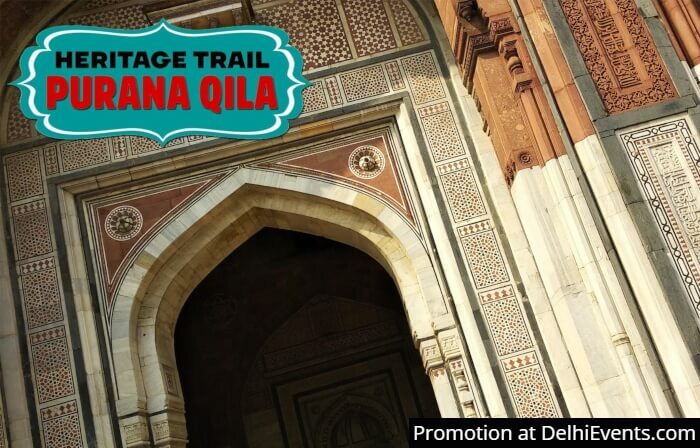 Event Description : KIDS WALK : Hands On presents "Heritage Trail : Purana Qila"
Kids celebrate World Heritage Day with a visit to the Purana Qila, a monument that has stood witness to important events in our history – from the Mahabharata, the beginning of the Mughal empire to the partition of India. As the children walk through this iconic landmark they see where the archaeological excavations were carried out, the darwazas with stories of their own, a beautiful mosque, a hammam with pipes for hot water, and even a ruined step well.